The space now known at The Broadway was originally called the Barking Assembly Hall when it opened in 1962. Its initial use was as a venue for events ranging from ballet to boxing before it was redeveloped into a professional theatre space. The theatre was further developed in 2004, when it was redesigned into a modern venue; featuring an auditorium with flexible seating (the capacity varying from 341 to 850 standing). The venue hosts a wide array of events including theatre, dance, comedy, workshops, family events, community events, and concerts. The theatre also runs a programme of events called Made@the Broadway, encouraging the promotion of the theatre’s home produced work. 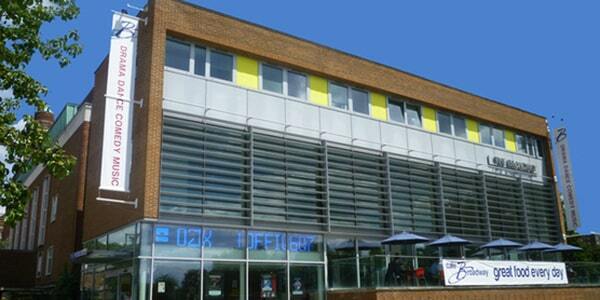 The theatre, managed by Barking & Dagenham Council, is the primary cultural building for the borough.